South Fremantle SHS |students at the clean-up. 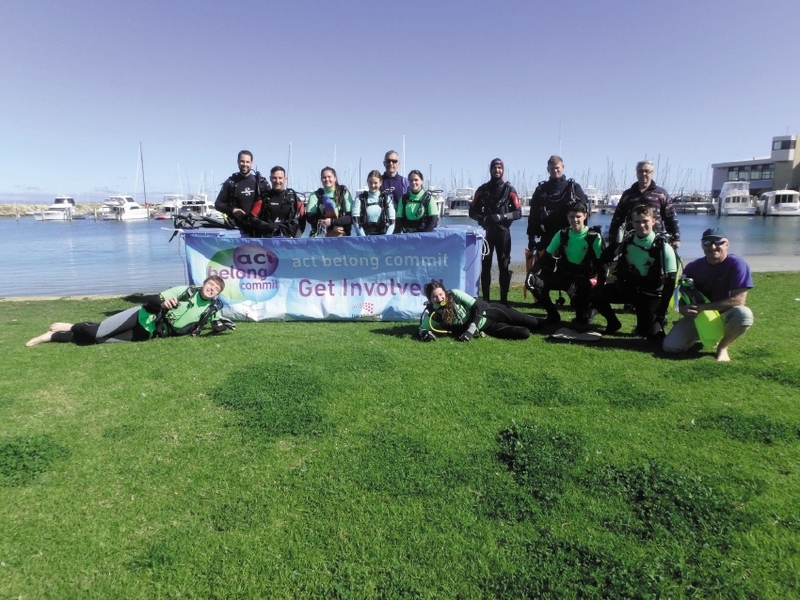 The Year 12 specialist marine and maritime students volunteered to go diving in the cold winter waters to drag out rubbish that people had thrown in as part of an Act, Belong, Commit program at the school. South Fremantle marine and maritime teacher Craig Smith said students wanted to cover as much ground as possible in the cold weather. �We dived for about 40 minutes in 15C water, which was very cold,� he said. �The whole day ended up with us nearly filling a skip bin of rubbish like cans, bottles, plastic bags, carpets, lobster pots, sunglasses, shoes, hats, ropes and fishing gear.